The Queen of Arendelle and one of the new Princesses of Heart. 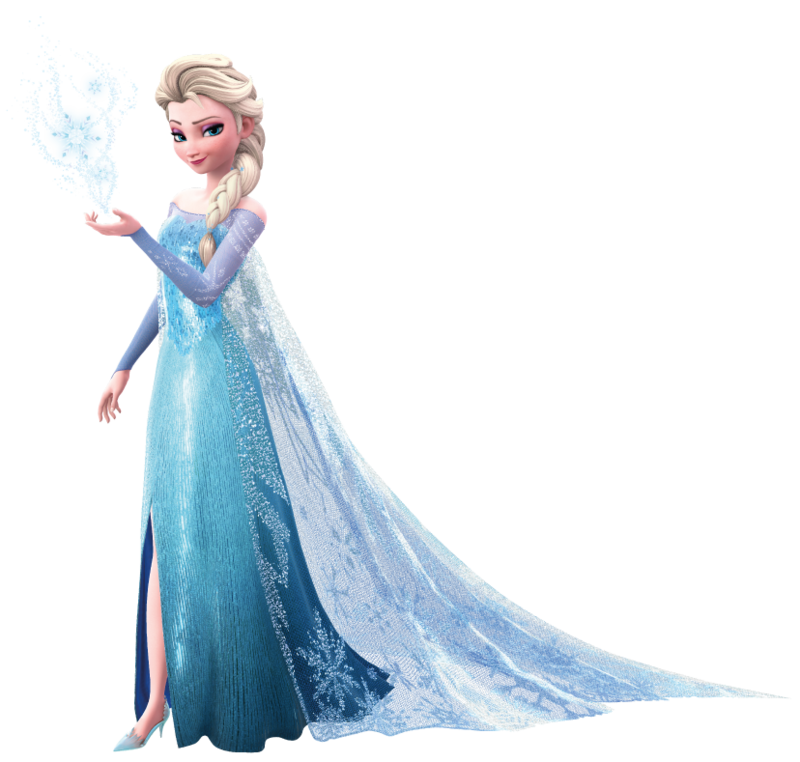 Elsa has had the power to control ice since birth however where these powers came from is a mystery. As a child, Elsa would play with her sister Anna by creating snow out of thin air. The two would jump through the snow, create snowmen, and slide down ramps of snow. Unfortunately, Elsa accidentally shot ice at Anna and wounded her, and the former King and Queen sought council from the Rock Trolls. They were able to heal Anna by removing all memory of the incident, as well as the memories of Elsa's powers. To protect Anna, Elsa reclused herself and wore gloves to avoid using any accidental ice magic. During a voyage across the seas, a storm broke out and took down the ship the King and Queen of Arendelle were on, leaving Elsa and Anna as orphans. As the eldest child, Elsa was to become the new Queen of Arendelle on her 21st birthday. On the day of her coronation, her gloves were removed and she accidentally cast out ice magic. The citizens of Arendelle now feared their Queen and she escaped from the village to a castle made out of ice high up in the mountains. During her escape, she cast an eternal winter curse over Arendelle, provoking Anna to find and return her sister so the winter can be reversed. During her escape, Elsa comes across Sora, Donald, and Goofy. A reindeer Heartless jumped towards the group and Elsa shoots it with her ice magic. Sora is impressed, but Elsa remarks that all her magic ever does is hurt people. She tells Sora to go away, and retreats into her ice fortress. Larxene, one of Master Xehanort's Seekers of Darkness, has arrived in Arendelle to capture both Elsa and Anna to use as catalysts for creating the χ-Blade if the Guardians of Light fail to assemble.